Home /China, China Soccer Observatory/Sport for All: Has a Golden Age of Mass Sport Participation Finally Arrived in China? This popular Chinese saying, one of Mencius’s, illustrates the low esteem in which China holds sports and physical education. Various influences throughout the nation’s history have helped to shape such attitudes: for example, Confucian cultural emphasis on moral virtue and intellectualism over physical development, civil service examinations that overlook and hamper men’s physical education, and a tradition of foot-binding that physically disabled Chinese women for a millennium. As such, China’s development of mass participation (as distinct from a primary focus on elite sport) has not been plain sailing. Despite a traditionally dismissive attitude to sports and exercise, China has enjoyed notable elite sport success in recent years. An invaluable secret weapon helping to facilitate this success is known as Juguo Tizhi, roughly translated as ‘nationwide support for an elite-sport system’. Victories in the arena of elite sport (and Olympic medal successes in particular) have thus, for more than thirty years, constituted the primary objective for China’s sports development. Mass participation, meanwhile, has taken a back seat. Following the origins of sports reform in 1979, China’s sports development pivoted on the principle of ‘prioritising elite sport, then leading subsequent general development’. In 1995, China finally accommodated sport for all by introducing the National Fitness Programme, which promoted exercise for the benefit of economic development and aimed to improve the nation’s overall health and fitness. The conception of the National Fitness Programme, along with the accompanying legislation, signalled the sport-for-all agenda’s active role in policy-making. However, sport for all was still subsequently deemed lower priority than was the agenda of elite-sport development. In the 2000s, fresh concerns about citizens’ health (in particular that of children and young people) pushed the issue of developing mass participation into the limelight. In 2002, the General Administration of Sport published Opinions on Accelerating the Development and Improvement of Sports Work in the New Era. This publication reiterated that the development of sports should serve ordinary Chinese people and should give the development of national fitness top sports priority. In light of China’s successful bid placed in 2001 for the right to host the 2008 Olympic Games, however, political attention and state financial investment were for the most part still strategically placed on the development of elite sport. Realising a 100-year-old dream of hosting the Olympic Games and achieving medal successes at the Beijing 2008 Olympic Games (including the summiting of the gold-medal table) fulfilled China’s sports policy goal of becoming a major sports country. Yet, apart from some sporadically issued policy statements relating to the agenda of developing sport for all, the ideal of mass participation had received little more than lip service. 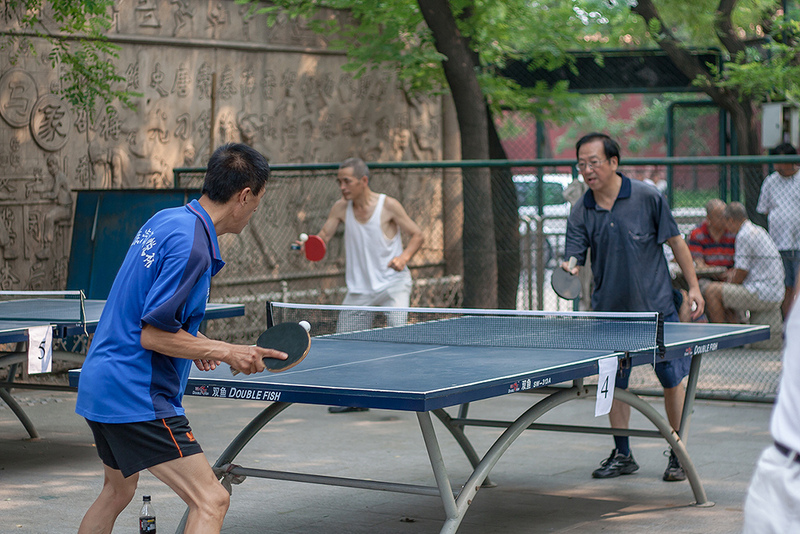 Following the 2008 Olympic Games, sport for all gradually began to build momentum again in China. The State Council made August 8th national ‘Sport-For-All Day’; and, in 2009, it launched a specific sport-for-all-related regulation which—as the very first regulation on developing sport for all—was different to the often vague and inadequately implemented policy statements published previously. This new regulation articulated the responsibility of relevant bodies in the national fitness system, formalised a systematic national fitness test programme, and formally addressed other issues in relation to sports facilities and sports-related business. The London 2012 Olympic Games cemented China’s second-place position in the gold-medal table and confirmed, via an impressive array of Chinese medal wins, the nation’s Olympic prowess. There soon began to be increasing public debate about how Chinese elite sport’s interests could be complemented with potential broader benefits of developing sport for all. With these issues in mind, the agenda of developing sport for all was finally singled out as a state priority. During the preparation of the bid for hosting the 2022 Winter Olympics, President Xi proposed ‘using the 2022 Games to get a population of 300 million in China to play winter sports’. This ambition for the 2022 Winter Olympic Games was bold and significant, to say the least; linking an Olympic event with developing sport for all had not been explicitly addressed when the 2008 Summer Olympic Games were hosted. Following President Xi’s remarks, a few months later, a strategic document titled Opinions of the State Council on Accelerating the Development of Sports Industry and Promoting Sports Consumption was published. This represented a watershed in the policy status of mass participation in China and signalled a clear governmental desire to develop sport for all, urged by growing concern about the deterioration of children’s physical fitness and about a steadily increasing percentage of adults becoming overweight. In the wake of the Rio 2016 Olympic Games, despite China’s unsatisfactory performance (where it dropped to third place in the gold-medal table and was overtaken by Great Britain), people’s discussions on social media have generally indicated the nation’s increasingly relaxed and inclusive attitude to sporting achievement; and this suggests the end of an ‘only gold Olympic medals matter’ era. Some influential figures have also spoken out: for example, Yao Ming (a retired professional basketball player, now president of the Chinese Basketball Association) said that ‘the development of a world sports power cannot rely merely on winning Olympic gold medals’; and Gou Zhongwen (recently elected Director of the General Administration of Sport) stated that ‘the next stage of sports development business should focus on the term “the people’s sport”’. Two major reforms are now on the cards: (1) introducing nineteen new sports (including dragon boat racing and Tai Ji) at the next National Games—an event that could be considered the most high-profile multi-sports event in China—encouraging ordinary people to participate and compete in the event; (2) the announcement by the Chinese Athletics Association of an ‘I am running for the Olympics’ campaign which, as part of the overall reform plan, will select two marathon runners with zero professional training to represent China at the Tokyo 2020 Olympic Games. The China Sports Press has described such reforms as ‘unbelievable’. Although China’s aspirations concerning sport for all have made headway, this has been slow going: combining the agendas of mass participation and elite sport was first touted as an idea around ten years before China eventually came on board with it fully by implementing relevant reforms. It may now appear, superficially, that a golden age of sport for all has subsequently arrived there. However, realisation of the ideal at stake will require major concrete reforms, such as provision of more sports space and facilities, improving awareness of sports (particularly in rural areas), addressing unhealthy lifestyles and cultural biases regarding the value of sport, and an increase the role of physical education in curricula. In terms of realising its vision of sport for all, China may have learned to talk the talk; but now it must learn to walk the walk. Dr Shushu Chen is a Lecturer in Sport Policy and Management at University of Birmingham. Her principal research interests lie in the field of sport policy and management, particularly focusing on Olympic legacy evaluation and sport development in China. Image Credit: CC by Lain/Flickr.